Nearly all painkillers available in Bahrain could soon require a doctor's prescription, with health officials working on a proposed legislation to ensure only basic drugs are made available over the counter. The National Health Regulatory Authority (NHRA) is planning a complete ban on the sale of nearly all painkillers without doctor's orders amid fears consumers are putting their health at risk by self prescribing medication that could actually be harmful. "The situation in Bahrain is that many medications, including painkillers and antibiotics, are available without any prescription," said NHRA chief executive Dr Baha Eldin Fathea. "This will change after new legislation is in place." 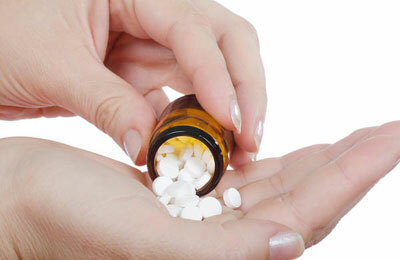 Dr Fathea said people purchasing painkillers and self-administering them are endangering their own health. "This should never be allowed. Bahrain's new legislation will ensure the rules are in conformity with internationally-accepted norms," he said. He said the same rules would apply to antibiotics as well. "Most antibiotics can be purchased from pharmacies now," he said. "Strangely, some that could be more harmful are not restricted while those which are not as harmful are available on prescription." Dr Fathea earlier told our sister newspaper, the Gulf Daily News, a rule on antibiotics being sold on prescription had first been put in place in the early 1990s, but was never implemented. He said a review had been launched after international drug manufacturer Pfizer issued a warning over one of its antibiotic products responsible for fatalities among users with existing heart conditions. Meanwhile, the NHRA is also launching a clamp on illegally procured drugs from across the border and sold in Bahrain. "Drugs being sold in Bahrain are to be procured only through authorised agents," said Dr Fathea. "Strict action will be taken against those found violating the law." However, Dr Fathea said the illegally procured drugs are not counterfeit.